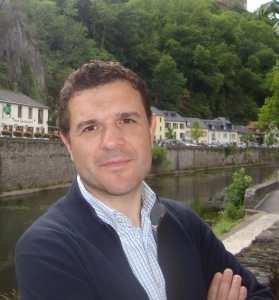 Biobest Member - Team "Biobest-UPV-INRA"
Apostolos Pekas holds a degree in Agricultural Engineering from the University of Thessaly, Greece since 2002. In 2004, he obtained a M.Sc. from the same University in "Modern Systems of Agricultural Production with Emphasis on Sustainable Production and Novel Technologies". In 2011 he obtained his PhD from the Universidad Politécnica de Valencia, Spain investigating the factors affecting the biological control of the California red scale, Aonidiella aurantii, one of the most important pests in Mediterranean citrus. Before joining Biobest he was involved in various national and European projects in Greece and Spain related to insect ecology and the biological control of insect pests. His research focuses on insect ecology and biological pest control. Projects range from parasitoid-host interactions, parasitoid nutritional ecology, conservation and inundative biological control in protected crops and open field and multitrophic interactions involving the impact of ants on pests as well as on natural enemies in the citrus ecosystem. In his current position in Biobest he is also involved in developing processes for mass rearing and quality assurance for arthropod natural enemies.